Germany (8): Germany is best known for its many attractions, beautiful countryside, historic cities, famous beer and traditional food. This along with some excellent golf makes for unique golf experiences for any visiting golfer. Thailand (10): The Thai golf experience is hard to describe. There are many reasons why Thailand is Asia’s biggest golf holiday destination and every golfer should try a Thailand golf trip first hand to find out why. Germany (5): Golf in Germany is generally an expensive proposition, especially during the summer months when most Europeans travel. Adding to golf trip costs are high prices at the better resorts as well as fine dining establishments throughout the country. Thailand (8): Thailand golf holidays are still affordable, albeit the green fees have risen steadily in the past few years. Accommodations and entertainment however is reasonably priced. The best golfing values can be found during the months of August and September where low green fees can be found at almost every Hua Hin golf course. 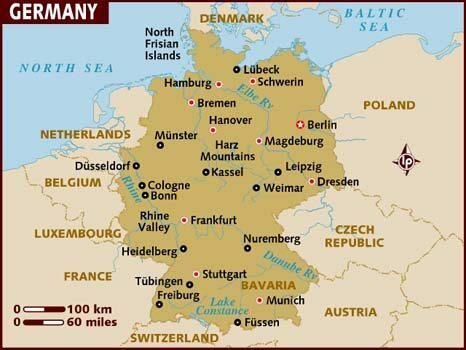 Germany (6.05): Germany has become a great alternative for a fascinating European golf holiday. If not for the short season and high prices it would attract many more holiday golfers. Thailand (8.70): Thailand wins over the Germany due to superior service and wider appeal to golfers from all over the world. Many a golfer visitor has chosen to make Thailand their home away from home.